The trading price for Strix Group PLC company symbol: LON:KETL has stepped up 3.69% or 5.2 points throughout the session so far. Investors have remained optimistic during the session. The periods high has already touched 147.3 dipping to 142.8. The number of shares traded by this point in time totalled 907,745 whilst the daily average number of shares exchanged is just 225,874. A 52 week high for the stock is 178.41 some 37.41 points in difference on the previous days close and a 52 week low being 117.63 is a variance of 23.37 points. Strix Group PLC now has a 20 moving average of 146.78 and now a 50 day simple moving average now at 142.5. Market capitalisation is now £277.78m at the time of this report. The currency for this stock is GBX. Market cap is measured in GBP. 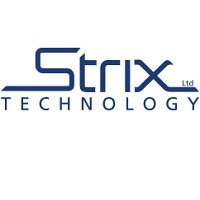 This article was written with the last trade for Strix Group PLC being recorded at Friday, February 1, 2019 at 11:55:03 AM GMT with the stock price trading at 146.2 GBX. The trading price for Admiral Group plc EPIC code: LON:ADM has risen 1.55% or 32 points during today’s session so far. Buyers have so far held a positive outlook throughout the session. The periods high figure was 2117 dipping to 2068. The total volume of shares exchanged through this period comes to 52,737 while the daily average number of shares exchanged is 538,445. The 52 week high for the shares is 2138 equating to 67 points difference from the previous days close and the 52 week low at 1794.5 which is a variance of 276.5 points. Admiral Group plc now has a 20 moving average of 2085.6 and now its 50 day moving average now of 2057.63. Market capitalisation is now £6,109.27m at the time of this report. The currency for this stock is Great British pence.Market cap is measured in GBP. This article was written with the last trade for Admiral Group plc being recorded at Friday, February 1, 2019 at 12:03:45 PM GMT with the stock price trading at 2103 GBX. Shares of Direct Line Insurance Group PLC ticker code: LON:DLG has gained 1.6% or 5.4 points during today’s session so far. Market buyers seem confident throughout the trading session. The period high was 343.9 dipping to 337.9. Volume total for shares traded during this period was 807,820 with the daily average at 4,654,928. The stock 52 week high is 397 around 60.3 points in difference on the previous days close and a 52 week low being 300.66 which is a variance of 36.04 points. Direct Line Insurance Group PLC now has a 20 moving average of 330.36 and the 50 day MA at 324.32. This puts the market cap at £4,702.50m at the time of this report. Share price is traded in GBX. Mcap is measured in GBP. This article was written with the last trade for Direct Line Insurance Group PLC being recorded at Friday, February 1, 2019 at 12:06:55 PM GMT with the stock price trading at 342.1 GBX. The stock price for Prudential plc company symbol: LON:PRU has stepped up 1.37% or 20.35 points throughout today’s trading session so far. Market buyers are a positive bunch during the trading session. The period high was 1507.5 and a low of 1480. The number of shares traded by this point in time totalled 1,393,503 whilst the average number of shares exchanged is 5,509,819. The 52 week high for the shares is 1962 equating to 476.5 points in difference to the previous days close of business and a 52 week low sitting at 1324.99 a difference of some 160.51 points. Prudential plc now has a 20 SMA of 1477.1 and also a 50 day moving average now at 1472.67. The current market cap is £39,047.32m at the time of this report. The share price is in GBX. Mcap is measured in GBP. This article was written with the last trade for Prudential plc being recorded at Friday, February 1, 2019 at 12:07:27 PM GMT with the stock price trading at 1505.85 GBX. The trading price for Bunzl plc EPIC code: LON:BNZL has stepped up 1.17% or 28 points throughout the session so far. Market buyers have remained optimistic while the stock has been in play. Range high for the period so far is 2440 and hitting a low of 2394. Volume total for shares traded at this point reached 119,005 with the daily average traded share volume around 821,337. A 52 week high for the stock is 2544 around 144 points difference from the previous days close and putting the 52 week low at 1918.5 making a difference of 481.5 points. Bunzl plc now has a 20 simple moving average of 2418.5 and the 50 day simple moving average now at 2409.43. Market capitalisation is now £8,168.41m at the time of this report. The share price is in GBX. Mcap is measured in GBP. This article was written with the last trade for Bunzl plc being recorded at Friday, February 1, 2019 at 12:07:25 PM GMT with the stock price trading at 2428 GBX. The share price for DCC plc with ticker code: LON:DCC has risen 1.53% or 95 points throughout the session so far. Traders have stayed positive throughout the session. The high for the period has peaked at 6370 while the low for the session was 6220. The total volume of shares exchanged through this period comes to 48,719 while the average shares exchanged is 296,432. The 52 week high for the shares is 7808.11 around 1583.11 points in difference on the previous days close and a 52 week low being 5555 a difference of some 670 points. DCC plc now has a 20 moving average of 6454.5 and also a 50 day moving average of 6186.06. The market cap now stands at £6,209.37m at the time of this report. The currency for this stock is Great British pence.Market cap is measured in GBP. This article was written with the last trade for DCC plc being recorded at Friday, February 1, 2019 at 12:05:00 PM GMT with the stock price trading at 6320 GBX. Click ADM BNZL DCC DLG KETL PRU for the full archive.